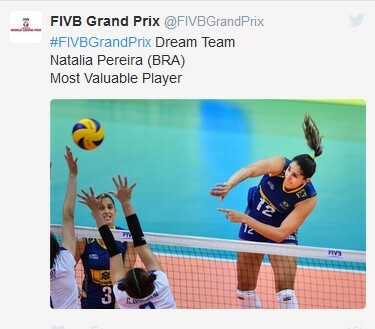 Lausanne, Switzerland, July 12, 2016 - Thousands of likes and comments on social media, delighted headlines in online newspapers – the celebrations were huge in Brazil following an eleventh FIVB Volleyball World Grand Prix title for the country’s women's team. “On the way to Rio, Brazil reborn, hits US and takes 11th title of Grand Prix” was the headline in one paper. With just 26 days to go before the start of the Rio 2016 Olympic Games, the victory delighted the country's volleyball-mad fans. And after winning the Olympics in 2008 and 2012, a golden hat-trick is now the team's main goal. “Brazil’s women’s volleyball squad is looking sharp. 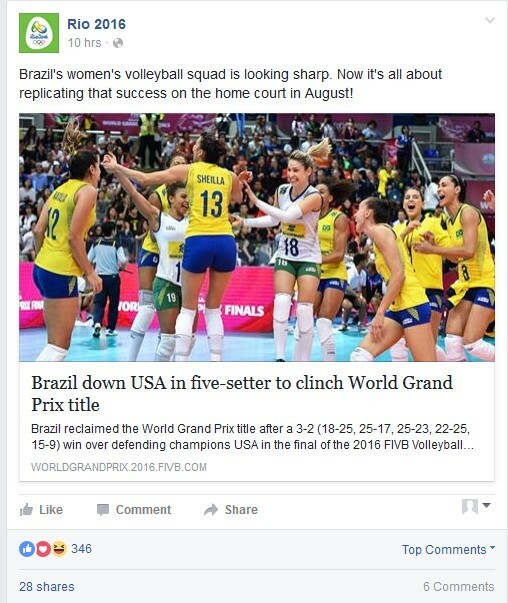 Now it’s all about replicating that success on the home court in August!” was the post on the official Facebook page of the Rio Olympics. It was also the mindset in the team, which defeated rivals USA 3-2 (18-25, 25-17, 25-23, 23-25, 15-9) to claim an eleventh title at the most prestigious annual showdown in women’s volleyball, having previously won in 1994, 1996, 1998, 2004, 2005, 2006, 2008, 2009, 2013, and 2014. Once the celebrations had died down in Bangkok, the focus immediately shifted back to the highlight of the season – the Olympics. “This result of 3 sets to 2 against the United States shows that it will be very difficult at the Olympics. We will need to maintain this position because the US will come even stronger in Rio. We are on track, but this track goes upward,” said winning coach José Roberto Guimarães. Only Brazil and USA have won the World Grand Prix since 2008. And it looks like Brazil and USA will be among the main contenders in Rio too. Brazil will be doing exactly the same thing in the final few days of preparation before the start of the Olympic Games. The team's experienced players know exactly what they need to do. "The will and determination of this group are very positive factors. We must always play on the edge. We depend on the aggressiveness of our attack to succeed and have good results,” said coach Ze Roberto. One of the great strengths of the Brazilian team is temperament and unpredictability. Five Brazilian players – Fabiana, Sheilla Castro, Fernanda Rodrigues, Thaisa Menezes and Natalia Pereira – ended the final with points tallies in double figures. They were all wonderfully set up by setter Dani Lins. Sheilla Castro was named Best Outside Spiker, while Natalia Pereira won the MVP award. 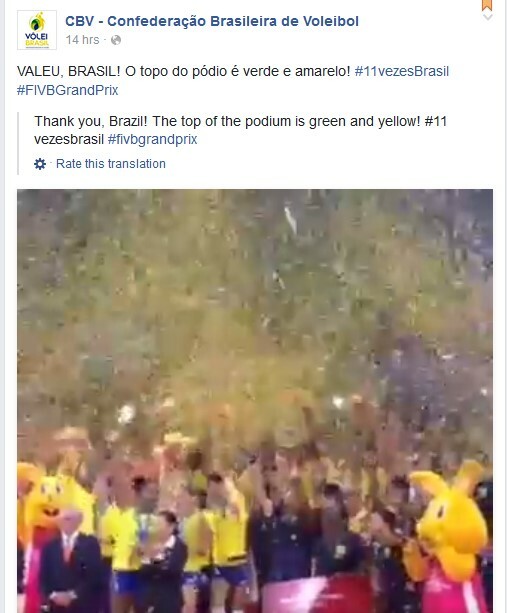 Brazil won their 11th title in the World Grand Prix and have dominated the tournament with 18 podium finishes, including 11 gold, five silver and two bronze medals. However, they are hungry for more. The Brazilian women are keen to complete an Olympic hat-trick and make history on home soil. In the history of the Olympic Games, only one team have completed the golden hat-trick: Cuba. “Las Morenas del Caribe” were crowned Olympic champions in 1992, 1996 and 2000. And to date, only two women’s volleyball teams have won the Olympics in front of their home fans. Hosts Japan won in Tokyo when volleyball made its Olympic debut in 1964, while the Soviet Union triumphed in Moscow in 1980. Brazil’s women are definitely on the right track, particularly when it comes to their attitude. “It was good, but we know we still have a lot to improve. The Olympics are another contest and another story. I'm happy but not satisfied. The Grand Prix was important because we gained confidence. Today we went behind in the match against the United States and managed to turn it around. This strengthens the group, but we know that we still need to evolve,” said Thaisa. The Brazil team travelled home to Sao Paulo on Emirates flight 261 at 16:30 on Monday with the World Grand Prix title to their name and a clear goal: to win a third Olympic gold medal in a row on home soil in August.